The original unit was 'Zebra Sentai' but they upgraded to 'Zebra Angels', with Hirata Rikako and Furukawa Airi as new members. Some of you might remember that Kyoraku cm in which Zebra Sentai appeared when ske was still pretty new. Zebra Sentai: Its just you first date so you haven't kissed right? Glad to see this "unit" is still active. I love the outfits and the funny commercials. They had an event today. The disaster happened after the event and it seems they are all safe. 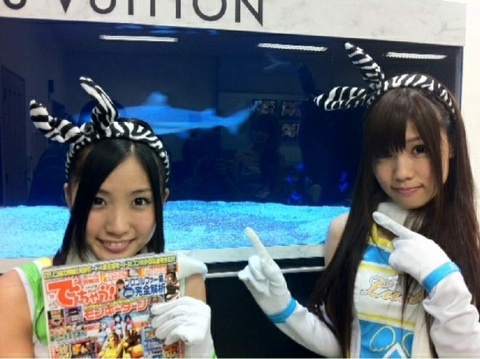 Should this become SKE's first sub-unit with a proper single release? Is that... a can of Zebra Angel Spam? They're visiting towns for promotion events. They mention the program "SAY YOU! SAY ME!" which airs in about 90 minutes on Terebi Aichi, which will probably cover some of the event. SKE48 and comedian Heisei Nobushi Kobushi attended a press conference of their upcoming internet TV program “Nobukobu & Zebra Tenshi no Kyuin x2 Variety” on December 5th in Tokyo. 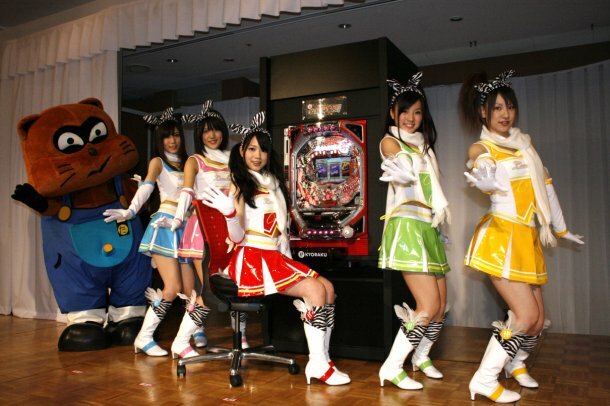 This is the variety show of Pachinko (pinball game), and Heisei Nobushi Kobushi and SKE48 Ono Haruka, Takada Shiori, Deguchi Aki, Hirata Rikako and Furukawa Airi are showing how Pachinko is fun through a comedy and various projects in the program. 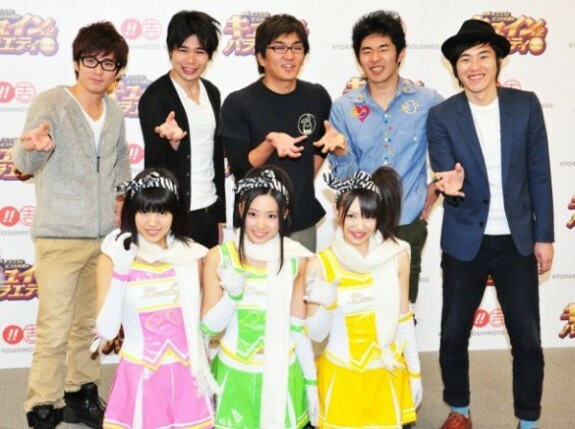 On that day, Heisei Nobushi Kobushi and SKE48 Ono, Hirata and Furukawa attended the press conference with their first guest star in the program; comedian Fujimori Shingo(Oriental Radio) and Shizuru. “Nobukobu & Zebra Tenshi no Kyuin x2 Variety” scheduled to air from February 12th, 2012 on the Official Website of KYORAKU. Page created in 0.427 seconds with 18 queries.